A full-scale prototype of the BFR is being developed in a huge white tent located at the Port of Los Angeles. The BFR will consist of a one hundred and fifty-seven-foot-long spacecraft on top of a one hundred a ninety-one tall rocket booster. This is equivalent to the height of a thirty-five-story building. When it is fully fueled, it will weigh almost nine million pounds. The specifications say that it can carry one hundred and fifty tons of cargo to Mars along with a hundred passengers. And, Musk claims that the entire system will be reusable. Analysts say that this is the most ambitious space project ever attempted. They say that it is at least an order of magnitude beyond the lunar missions. 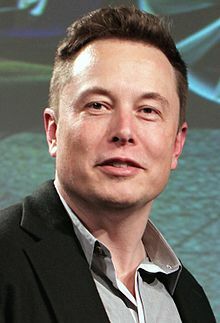 Steve Nutt, a professor of chemical, aerospace and mechanical engineering at the University of Southern California, said, “It sounds like science fiction.” MusK is keeping the BFR program secret and no one has revealed any details. SpaceX has refused repeated requests for interviews or on-the-record comments about the project. The big question is how SpaceX can possibly build the giant spaceship on the schedule they have provided for completing the project. With no information forth coming about the project from SpaceX it has been left to reporters to question experts in related disciplines to try to develop an understanding of the problems that the project must solve including potential building materials, advanced assembly processes. safety inspections and projected costs. Some commentators say that the most important question of all has nothing to do with the technical details. That question is whether or not the global community will be able to deal with probable disasters and fatalities related to some of SpaceX eventual Mars missions. Musk has said that eventually, the BFR is intended to replace all of the current models of rockets and spacecraft currently in use by SpaceX. SpaceX has recently raised hundreds of millions of dollars, much of which will probably go to the development and construction of the BFR. SpaceX has recently been talking about sending a space tourist around the Moon. The research and development for this project will most likely assist the development of the BFR. SpaceX has six thousand employees and more and more of them are getting assigned to the BFR project. Musk intends to complete development of the BFR sometime in 2019. The project in Los Angeles began last December so the schedule calls for the completion of the prototype BFR in from twelve and twenty-four months. For comparison, the NASA space shuttle orbiters each took about five years to complete. Following its completion, the prototype BFR will probably be carried through the Panama Canal to a port in Texas and taken by truck to the SpaceX facility in Southern Texas. Once there, the BFR will be subjected to a series of tests. At the same time as this is playing itself out, SpaceX will be working to complete the permanent BFR factory being built at the Port of Los Angeles. The facility will cover about two hundred thousand square feet.